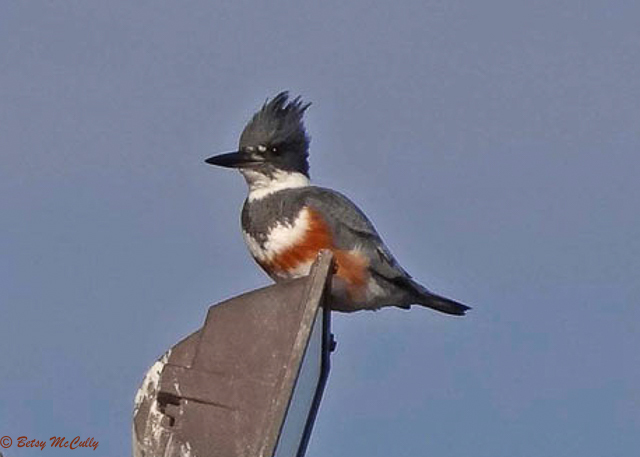 Belted Kingfisher (Megaceryle alcyon). Male. Long Island. Rivers, ponds and shores.